The NIMD launched a dialogue programme in Uganda in the fall of 2009, against a background of a volatile political environment and public fear for violent elections. Centre stage in its approach was the setup of an informal interparty dialogue process to create a safe meeting space in an inclusive, confidential and informal setting outside the parliamentary limelight. This would allow parties to get to know each other and gradually build up (interpersonal and interparty) levels of trust. The ultimate goal of the dialogue platform is to facilitate a process of consensus-based agenda setting amongst the parliamentary political parties, focused on initiating reforms that would level the political playing field in Uganda and contribute to an open and stable democratic system in Uganda. Four years into the lifespan of the programme NIMD, in consultation with its main donor the Deepening Democracy Facility (DGF), agreed to conduct a mid-term review (MTR) to take stock of programmatic progress and to learn lessons for the next phase. 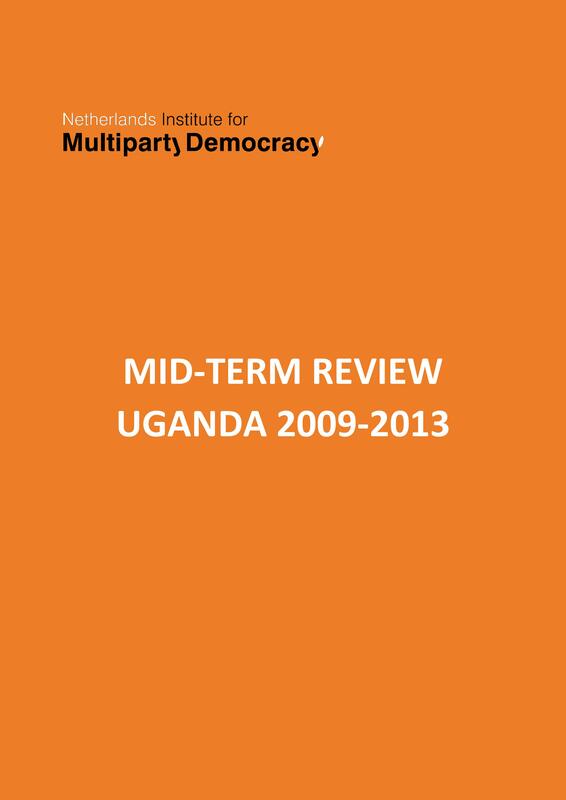 The review was conducted between September and November 2013 by a diverse team, consisting of a political and parliamentary support expert, an evaluation expert and a Ugandan political scientist with operational experience in working with political parties in Uganda. You can find the review of the programme below. You can also read a summary with findings and recommendations.